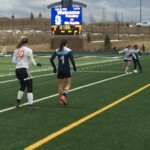 PETOSKEY – Petoskey improved to 3-0 on the young season by posting its third consecutive shutout with a 2-0 win over visiting Elk Rapids on Friday. 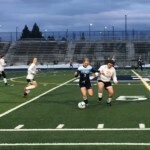 The Northmen held a 1-0 lead at the half on a goal by Nicole Heckman. 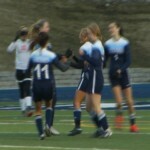 Erika Crandell tallied Petoskey’s second goal with 20 minutes remaining in regulation. 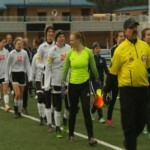 Kenzie Haas earned her third straight shutout in net for the Northmen. Elk Rapids (1-2) returns to its home pitch on Tuesday hosting Kalkaska, while Petoskey travels to Traverse City West on Thursday.